Many people feel down as winter lingers. It’s dark. It’s cold. The holidays are over and now what? For some people every winter is unbearable. They’re tired and depressed. They don’t want to get out of bed. They snap at their families and binge on junk food. These people have seasonal affective disorder (SAD). Our moods and energy levels fluctuate with the seasons. Traditional Chinese Medicine (TCM) understands these cycles but modern life does not. These days, you are expected to be active, productive, and creative at all times of the year. There is no accommodation for a slow, quiet winter. According to TCM, this conflict causes stress, which can result in SAD. No one knows exactly what causes SAD but most of the theories involve light. Serotonin, a neurotransmitter that affects mood, is triggered by light. Others blame melatonin, a hormone that affects sleep and mood, because it is affected by darkness. In either case, light plays a role. Western Medicine Treatments for SAD Western medicine treats SAD with medications, psychotherapy and light therapy. There are 2 types of light therapy. For bright light treatment, you sit in front of a light box for 30-45 minutes every day. For dawn simulation treatment, a dim light comes on while you sleep and gradually gets lighter. Many people find light therapy very effective, and a recent Canadian study confirms this. Scientists found that light therapy was just as effective as Prozac for alleviating SAD, with fewer side effects and faster results. TCM takes a holistic view of the body and seasonal cycles, and understands the energy behind them. All life is made of qi, or life force. One of the principles of qi is that everything is made of yin and yang. Yin is the feminine side, nourishing, cold and dark. Yang is the masculine side, active, warm and light. Autumn marks the beginning of the yin cycle of the year. Daylight decreases, temperatures drop and nature takes a rest. Just as animals slow down and hibernate, our bodies slow down. It is a time for reflection and quiet activity. If your constitution is particularly yin, from gender, genetics, environment, or lifestyle, the yin cycle may hit you hard. Contemplation and rest may become isolation and depression. Your winter cycle becomes seasonal affective disorder. The holidays put an additional stress on your system. At a time when your body wants to slow down, holiday activities speed up. Parties, shopping, travel and holiday celebrations create tension between what your body needs and what you’re doing. This stress depletes your body even more, contributing to exhaustion and cravings for carbohydrates to replenish your depleted energy. To stay balanced in the winter and ward off SAD, conserve your energy. Practice quiet, yin activities like restorative yoga, Tai Chi, qigong, walking or journaling. Eat warm, slow-cooked stews and soups. Add yang spices like garlic, ginger, black pepper, cloves and basil to your foods. Limit cold drinks and raw vegetables. Rebuild your energy to prepare for spring. 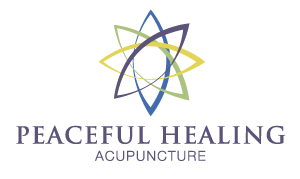 Most importantly, make an appointment with me for a seasonal acupuncture treatment. By balancing your qi, your seasonal affective disorder symptoms can be relieved. Winter doesn’t have to be a time of sadness, exhaustion and binge eating. Call me to discuss your treatment options today.